Home Attorney Jefferson City Why Create a Durable Power of Attorney for Financial Decisions? The Missouri Durable Power of Attorney Law is set forth in Chapter 404.700 through 404.735 of the Missouri Revised Statutes. A power of attorney is a legal document wherein you voluntarily, and with informed consent, and in the presence of witnesses, give another person powers to address your property and finances. Although you may select multiple parties to serve as your attorney-in-fact, our firm rarely suggests you do. The use of multiple parties, regardless of how convenient the scenario may seem, does not avoid the opportunity for ties, contests, or protracted litigation. We instead suggest you choose only one candidate for attorney-in-fact at a time with others listed as successors thereafter. Most experienced attorneys will encourage you to name successor attorneys-in-fact in your document for those instances when an attorney-in-fact fails or refuses to serve. A non-durable power of attorney, or a general power of attorney, does not provide your agent the ability to act for you if you become incapacitated (e.g., you become temporarily or permanently impaired by mental or physical deficiency, disability, or illness). A durable power of attorney, as its name implies, creates an agency relationship that remains effective even if you become incapacitated. Because a durable power of attorney can aid during your most vulnerable moments in life, including but not limited to dementia at an advanced age, it is an essential estate-planning tool. A durable power of attorney for financial decisions is an important “living probate” document that allows you and your loved ones to avoid costly and time-consuming conservatorship proceedings in a probate court when you are alleged to be suffering from incapacitation or disability. Remember, the document must be created and signed prior to your incapacitation or disability, as you are unable to create such legal and binding documents once incapacitated. A durable power of attorney can be broad and afford the attorney-in-fact unlimited powers. A power of attorney can also be extremely limited to allow for the performance of very specific acts such as only selling your car or only managing one bank account. The power to affect real property must be specifically written in the instrument, as it is not presumed by law. Your attorney-in-fact need not be a licensed attorney but it should be someone 18 or older who possesses the skills, both physical and mental, to accomplish tasks you would otherwise do for yourself. Once your attorney-in-fact’s powers begin, that person steps into your shoes, figuratively. Some of the generally accepted and enumerated powers set forth in your power of attorney may include empowering your attorney-in-fact to sign checks and tax returns, enter into contracts, buy or sell real estate, deposit or withdraw funds, run a business, or anything else you would normally do for yourself. No power of attorney, whether durable or not durable, may delegate or grant power to an attorney-in-fact to perform the following: (1) to make, publish, declare, amend or revoke your Last Will and Testament; (2) to make, execute, modify or revoke a Living Will Declaration for you; (3) to require you to take any action or to refrain from taking any action; or (4) to carry out any actions specifically forbidden by you while not under any disability or incapacity. To create a durable power of attorney for personal financial decisions please contact our firm to establish a date and time to meet. If you have any questions, please feel free to email us at info@toddmillerlaw.com. There is no charge for your initial consultation. 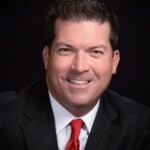 Todd Miller is the Senior Partner with the Law Office of Todd Miller, LLC, 1305 Southwest Blvd., Suite A, Jefferson City, Missouri 65109 www.toddmillerlaw.com (573) 634-2838. Mr. Miller earned his juris doctorate from the University of Missouri School of Law in 1999. He was most recently recognized as Advisor of the Year by GolfInc. Magazine. He is ranked a Superb Attorney with a “9.9” rating by AVVO and annually receives the Client Distinction Award by Lawyers.com. He writes and lectures on various legal topics and you may find him on Facebook, Google+, LinkedIn, and Twitter or by emailing staff@toddmillerlaw.com.